Synopsis: It's hard to ignore someone with his hands in your mouth. Bernie Rhodenbarr's all ears when Dr. Sheldrake, his dentist, starts complaining about his detestable, soon-to-be-ex wife, and happens to mention the valuable diamonds she keeps lying around the apartment. 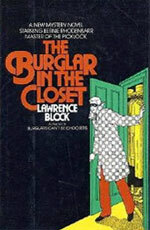 Since Bernie's been known to supplement his income as a bookstore owner with the not-so-occasional bout of high-rise burglary, a couple of nights later he's in the Sheldrake apartment with larceny on his mind -- and has to duck into a closet when the lady of the house makes an unexpected entrance. 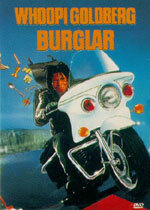 Unfortunately he's still there when an unseen assailant does Mrs. Sheldrake in ... and then vanishes with the jewels.